Rep. Darrell Issa endorsed Diane Harkey. 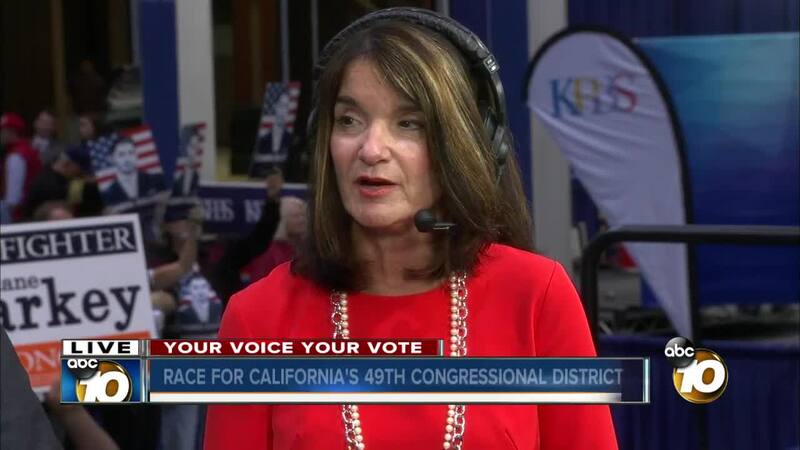 SAN DIEGO (CNS) - In a race Democrats are anxious to win to increase their strength in Washington, Republican Diane Harkey is heading for a November runoff in the battle to replace retiring Rep. Darrell Issa, but she'll face a Democratic challenger. Issa opted not to run again for his 49th District seat, causing a flood of 16 candidates to pursue the district, which runs from La Jolla to Dana Point. Harkey, a state Board of Equalization member, topped all candidates in Tuesday's primary. 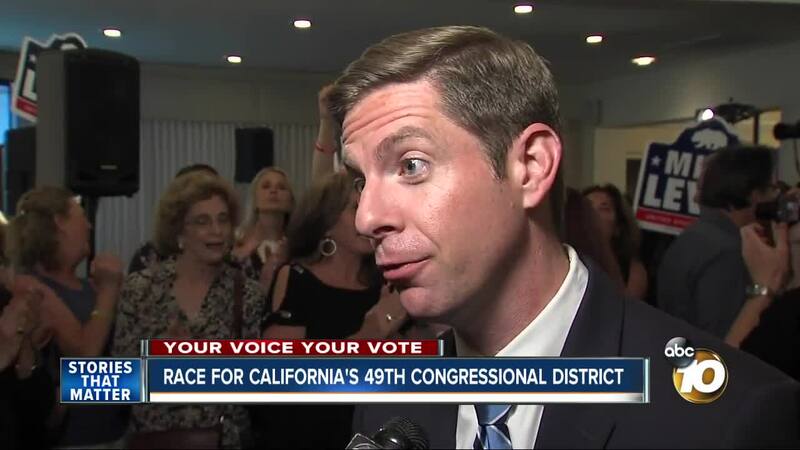 She told KUSI that prior endorsements from Issa as well as the San Diego County and Orange County Republican parties provide her momentum heading toward the November general election. The Democratic Party, in contrast, didn't formally get behind a single candidate ahead of today's primary. "You have to build your coalition. I have a really good base," Harkey said. "...The Democrats are going to have a little tougher time because they've been battling amongst themselves." She will be challenged in November by environmental attorney and former Orange County Democratic Party official Mike Levin, who finished in second place Tuesday. Sara Jacobs, who conducted foreign affairs work during the Obama Administration, finished in third place, followed by retired Marine Col. Doug Applegate, who nearly defeated Issa in 2016. East in the 50th District, incumbent Republican Duncan Hunter, finished firmly in first place for the seat he's held since 2009 and that his father, Duncan D. Hunter, held long before that. The district encompasses much of East County as well as Fallbrook, San Marcos, Valley Center and Escondido. Democrat Ammar Campa-Najjar, a former Department of Labor spokesman, finished second and will face Hunter in the November runoff. Democrats hope the 50th District is more vulnerable than in previous years due to an ongoing FBI investigation into alleged campaign finance violations by Hunter.